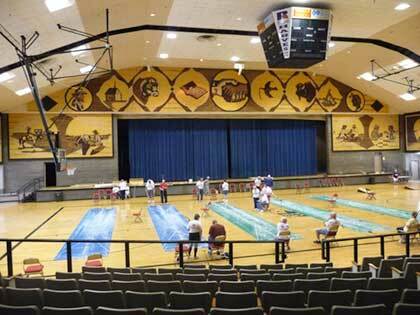 The Corn Palace in Mitchell, SD is a community building that is decorated, inside and outside, with mural made with corn. 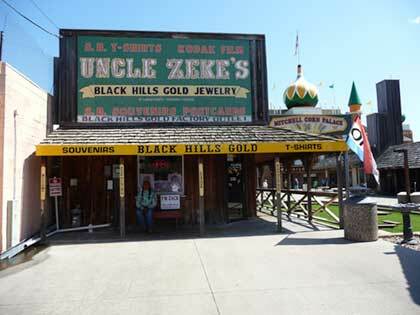 The first corn place was built in 1892 and version has been built every year. 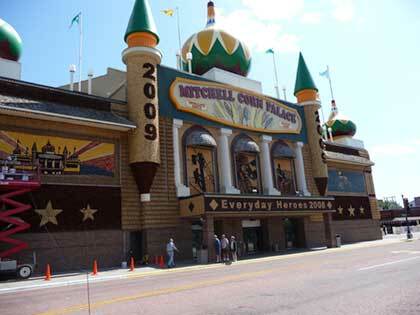 The building where the current Corn Palace is located was built in 1921. 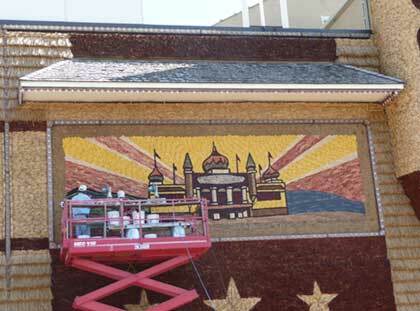 The mural for the Corn Palace is rebuilt every year with a new theme. When we were there, September 2008, they were already replacing the 2008 mural, Everyday Heroes, with the 2009 mural, America's Destinations. The mural is made up of different color corn that is all grown in the Mitchell area. It is quite an undertaking to get all this done year in and year out. Even the interior of the building is decorated. The building is used as a community center and hosts basketball and other events. A tour of the inside of the building is interesting. 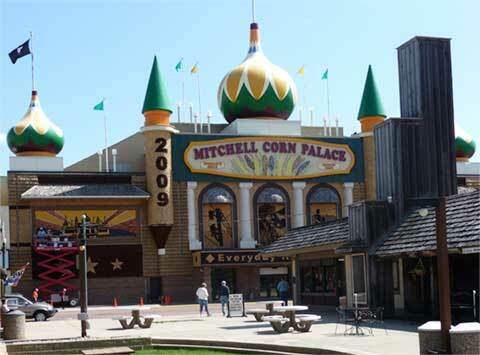 They have pictures of all the Corn Palaces on display. Some of the older Palaces were more elaborate than the current version. Mitchell is a typical small town in this part of the US. 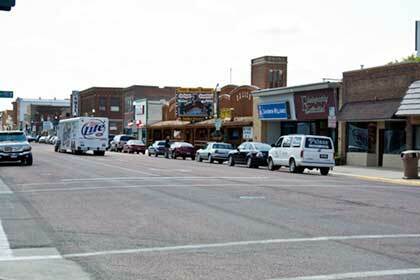 It has what looks like an active main street. Perhaps the major difference between Mitchell and small towns in NC is the Jackpot Gambling. 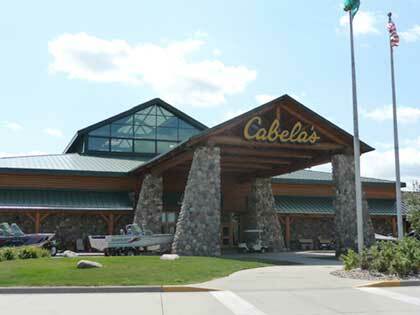 One other attraction in Mitchell is the large Cabela's retail store. It is quite a store. 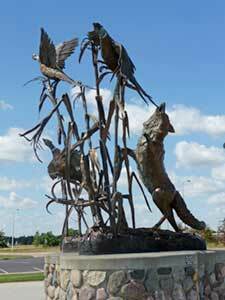 We enjoyed the sculpture in the front more than anything in the store. Travels with Nessie Home :: Site Map:: Contact webmaster@ncsparks.com-email us:: Copyright Leslie Sparks 2006, 2007, 2008, 2009, 2010, 2011, 2012,2013,2019:: Last modified: November 10 2014.